There isn’t a lot of box office news this week with only one release, so I am going to focus on Badrinath exclusively. And everywhere you look, it is very very good! In the Khan release range at the per screen figures. Every release has had a steady increase. That’s good, that’s healthy. A big jump would mean there’s something more people are coming in for, it’s not just the star. A big drop would mean his star power had dropped. But this nice steady rise means his star power and/or ability to pick good scripts and/or be cast in bigger movies is also steadily rising. Really, all three of those things are just about being a star. A Star has to have a nose for good scripts, and has to convince producers for a big release strategy. As well as drawing in a growing number of fans. But, forget Varun for a second, let’s talk about Karan. Look how tiny the box office for Humpty Sharma was! Tiny tiny tiny! And yet this is the movie Karan decided to franchise. More than that, this is the movie that he spent a long time discussing in his autobiography. Karan can pick up the phone any day and get Varun and Alia to co-star in any movie he wants. Star power is not a problem for him. But this is the script he wanted them in. And he made sure it got a really big release this time, 152 screens in America, that’s a Hrithik Roshan size release. Not quite a Khan release (that’s closer to 300) or a big crossover arty Bhansali type release (also 300). But bigger than Akshay’s quarterly thinking man’s action film releases (around 100 screens). Plus opening all the way to Germany and Malaysia! And he gave it a pretty decent release day too, Holi isn’t the best but it’s not the worst, especially with an open weekend following. I’m pretty sure 2 States made more money than Humpty Sharma. So why not cast Alia with Arjun again? Or greenlight another film written and directed by Abhishek Varman? Or why not talk about 2 States in his autobiography? All of these things are related, and I think it starts with the autobiography question. Karan talked about the things that were important to him, the things that felt significant in his life. And of the whole string of Dharma films that are coming out, Humpty Sharma was one that was significant. And because it was, he spent time personally supervising the original production and put his two favorite actors in it. And he watched the release and saw that Alia and Varun’s chemistry was better than Alia and Arjun’s, something special. He must have already known it was better than Sidharth and Alia’s, since he hasn’t cast them opposite each other since SOTY. And he must have seen something in the movie too, something in the release tracking, that made him think this could be good. 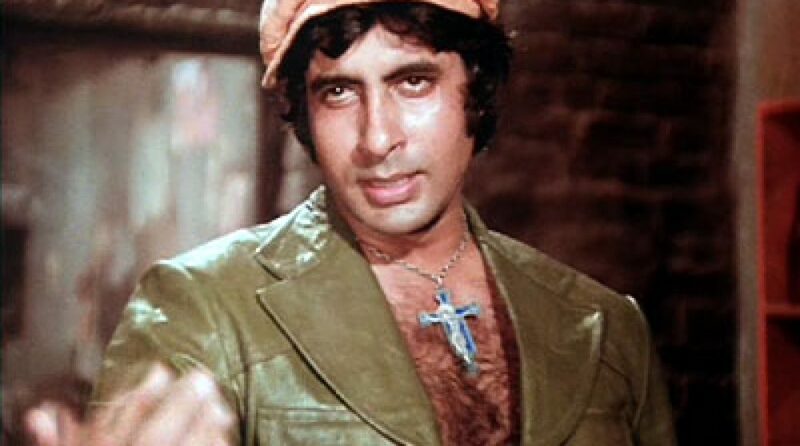 I don’t have the box office figures for back then, but I suspect it ran on only a few screens, but longer and to a bigger audience than even Karan expected. And all of this means that when it came time for the sequel, Karan bet big. Well, big for a rom-com with no old-school star. Big release, big promotion, and big release date with a clear week after with no competition. And, looking at those figures up there, big payoff too! Here’s the thing that I find really fascinating. He bet big, but he didn’t bet huge. He didn’t try to rig the system by releasing on so many screens that a big box office was guaranteed. He didn’t even do THAT many promotions! Not even as many as he did for Baar Baar or Student of the Year. First looks on twitter, and some promotional appearances, and trailers, and all of that. But he didn’t really go outside the box for this one, he did just enough to make sure people knew it was coming out and what it would be like, and left it at that. Going back to Varun’s steady growth up at the top, the same is true of building up Dharma. Yeh Jawaani Hai Deewani almost hurt them more than helped them. Suddenly there was a lot more pressure and expectation for Dharma rom-coms. Much better for Karan to grow incrementally. To have these smaller solid releases that slowly get to be bigger and bigger releases. You don’t want to keep chasing that impossible hit all the time. It’s just not good business. This entry was posted in Box Office and tagged Badrinath ki Dulhania, Box Office, Collections, Karan Johar, Varun Dhawan by mredlich21. Bookmark the permalink. This is all fascinating, especially thinking about how the different films were promoted, and you pointing out that Badri had just enough but was not Baar Baar level. Also fascinating to see Varun’s trajectory as a rising star. It makes me think back to the Dream Team concert we attended and how Varun was the one who got the SRK like entrance – coming from the back of the crowd up in the air over the audience. He was the one of the three to get that. Could you talk about Alia’s trajectory and Box office? I think she has an even more interesting story in a way — she’s made some great choices, too, done some lighter films, but also shown her acting chops in films like Udta Punjab. I’m really interested in how Alia is NOT playing the “Star” game, not going by the box office. Which I think is smart, a woman can’t have the same career path a man can have right now, it’s just not going to work. Don’t try to headline movies, don’t try to be the lead in an entertaining “timepass” kind of film, the audience isn’t going to go for it. And don’t play the box office game, no one will ever give her credit for “opening” a movie, they will just blame her for being “bad luck” if it fails. But instead, she is slowly proving her abilities to the industry in her more arty films where she is putting in powerhouse performances that the critics and producers notice, and building up goodwill in the audience by sneaking in slightly different kind of performances in her “heroine” parts. She isn’t doing what Varun is doing at all, but it’s possible that 10 years from now they could end up at the same place, both of them respected as powers in the industry and loved by both classes and masses. But right now, it looks like Alia is focused on building her acting abilities and connections and resume more than building some kind of box office clout. It reminds me a bit of the path Kareena Kapoor took, doing K3G and Yaadein, but throwing in a Dev and Chameli as well. Only even more so because the art film scene is so much stronger now. Could be because Karan is mentoring them both? I don’t know Alia’s specific box offices, but I know she has had a lot more flops than Varun. I don’t think Varun has had a single real flop on his resume? He’s been very careful about that. Badlapur didn’t do great box office, but it wasn’t expected to. ABCD and Main Tera Hero and Dishoom all did much better than expected, and that was partially chalked up to his star power. And now he will probably take much of the credit for Badrinath’s box office as well. For Alia, 2 States and Badrinath are doing better than expected, and so did Student of the Year, but she’s not getting any credit for that. On the other hand, she didn’t get any blame when Shandaar flopped horribly, or Udta Punjab did less than expected. Most of her films have done about expected based on their content. No one thought Highway would be a run away hit, or that Kapoor & Sons would cross out of the multiplex audience. But a film like Shaandaar on Varun’s resume right now, that could have been a serious set-back for his career. I like what Alia is doing, it’s kind of similar to what Anushka is doing. The only difference is Anushka is working with the Khans and producing the “arty” movies by herself while Alia’s heroine parts are in rom-coms with younger actors. I’m actually really excited about Alia’s line up because she’s working with Ayan Muherjee and Ranbir Kapoor for Dragon, and she’s also working with Zoya Akhtar and Ranveer Singh for Gully Boy. Your’re right, Varun doesn’t technically have a flop yet. Badlapur was his lowest budget film and it was a clean hit. Not counting Dilwale, Dishoom was the only movie that underperformed so far, I it barely broke even. 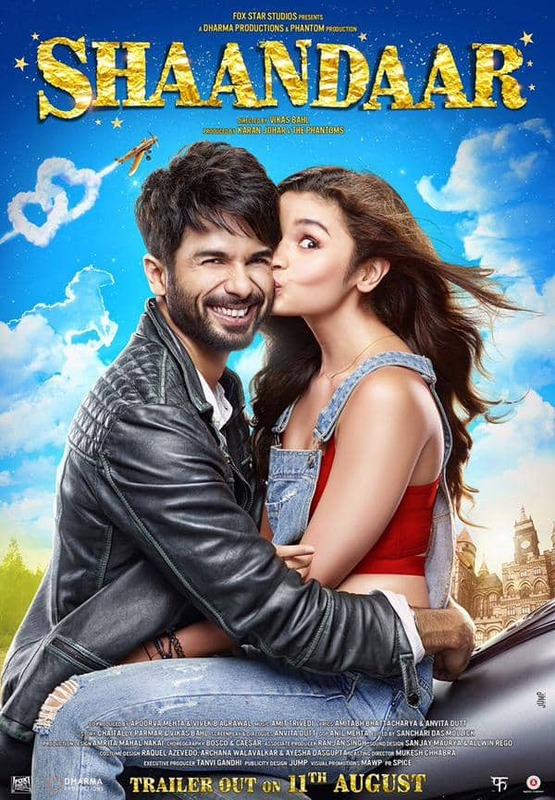 I think Shaandaar is Alia’s only flop, but no one seems to blame her for it. Yeah, 2 States did do a lot better than Humpty Sharma. I wouldn’t be really surprised because 2 States is a good movie plus it had a really good music. I think Abhishek Varman, the director of 2 States, is going to announce his next movie, Shiddat, soon. There have been rumors about it being a Partition drama starring Varun, Arjun and Alia for a few months now. Apparently, Varun’s role will be that of an anti-hero so I really hope it gets announced. Good point about Alia choosing to work with the younger lot. It’s a smart move, I think. She gets less press and box office, but she has a more equal share of it. And better roles. Anushka was great in Sultan and made a huge contribution to the movie, but it was ultimately a supporting part. While alia in Badrinath was definitely a co-lead, not just within the film but in the poster images and the song videos and everything else. I agree with you that when Alia works with the younger lot, she gets more credit for her share in the movie. I think her advantage is that she looks too young to star with the Khans unless it’s something like Dear Zindagi. Anushka on the other hand started out as Shahrukh’s heroine, so she’s now one the few heroines left that can star with the Khans and not look too young. Priyanka and Deepika are off in Hollywood, so the only ones that are really left are Kareena, Sonam, Katrina, and Anushka. Good point! I wish Rani and Juhi and the others would work more, and people would cast them opposite the Khans. Even the older looking younger ones still look odd with the Khans. I would be so happy if the Khans started working with that lot! I would love to see the Shahrukh-Rani pairing again! Or just seeing Preity back on the screen 🙂 Even the older heroines that are still acting/making comebacks are choosing to do roles where they are central character. Like Rani in Mardaani and Aishwarya in Jazbaa and Sarbjit. I wonder if the Khans are not offering them movies or they themselves are staying away from those kinds of movies. I wonder if maybe it’s a scheduling thing? Aish in Sarbjit could probably control her own schedule because she was the busiest person on set. But if Rani wants to work with Shahrukh again, she would have to be ready to be available at a moments notice for months at a time, which doesn’t seem very doable for a wife and mother. It’s not fair, but it seems like the male stars are only able to keep working at that pace after marriage and kids because they have a wife somewhere who picks up all the slack. Yeah, it makes sense when you look at it that way. Kajol was probably able to do Dilwale because her kids are older unlike Rani and Aishwarya. But I would love to see Preity and/or Madhuri work with Shahrukh again! Madhuri’s doing so much other stuff, you’d really think she could do a movie. Although I could also believe that TV shows etc. work around her schedule and are more 9-5 than flying to Switzerland with Shahrukh, and ending up staying an extra three weeks because his knee flared up again. Going back to a totally different conversation we were having, I wonder if that is another reason Alia is opting to work more with young people? She is just cranking out movies at a terrific pace, probably because she can schedule them around each other. But Anushka on the other hand, working with the big stars, has to give up 6 months at a time to just one picture. Honestly Ayan Mukherjee seems to be the kind that casts his heroines pretty carefully. He wasn’t afraid to cast and make Konkana Sen Sharma’s character older to Ranbir’s in Wake Up Sid. So I think there is probably a good reason for him to cast Alia in this movie. But I wouldn’t mind if she changes her look a little if Ayan wants her to. Thrilled to see it doing well. I’m hoping to watch it this weekend. I only saw Badlapur last weekend after watching Varun and Alia on Koffee with Karan and for the first time ever I really sat up and noticed Varun. He charmed the socks off me! Even my husband thought he came across as a really likeable guy. Badlapur was intense and incredibly dark. Glad to see he is being smart about his choices and picking a variety. After Badlapur, he’s been on a string of light movies. Which is fine with me! Badlapur was too dark for me. At the end, when Huma Qureshi asks what would bhe do now and leaves, Varun looks into the raining skies silently. That was such a haunting visual. I wonder what Raghu really had to do further? Any guesses? I read it as him finally dealing with his grief and finding a way forward. He had been trapped at a way station called “Badlapur” for years, never moving forward with his life. Meanwhile Nawazuddin in jail and been turning into a better person, learning to know himself, growing as a person. Now Varun can’t put it off any longer, he has to think about where he goes from here. that is, assuming I am remembering the movie correctly! I haven’t seen it since it first came out. I was just reading this again and I just remembered something that I wanted to point out. Varun’s last four movies all came out during vacation in America. ABCD 2 (June 19) and Dishoom (July 29) were both summer and Dilwale came out in the winter. Plus Badrinath Ki Dulhania happened to release during the middle of spring break down here. Do you think this pattern must have been another advantage for Varun? I read somewhere that in terms of return on investment, Badrinath Ki Dulhania is now Dharma Production’s second biggest hit. Also, it’s the third biggest domestic grosser for Dharma after YJHD and Agneepath. I saw the release dates a different way, vacation in America but not in the other traditional markets for Indian film (middle east and south asia). So no competition with a big Eid or Diwale or Christmas or Republic Day or Independence Day release. But now you’ve got me thinking about the other timing! Spring break seems risky, since it varies so much school to school, but a summer release might be a smart move since every school in the northern hemisphere has vacation in late June/July. I can easily believe it is a huge return on investment. Setting aside Alia and Varun’s paychecks, the rest of the cast are good actors, but not famous or expensive. And it’s really a simple thing to film, no huge special effects or CGI, just a few big dance numbers. Spring break just seemed to be a coincidence because I think Holi usually falls a couple of weeks after spring break for us. I remember Varun being excited that BKD was his first holiday release because of Holi. Apparently it was a long weekend in India and I’m sure the movie benefited from this. Judwaa 2 is coming on September 29 which is Dusshera which is another long weekend in India. But I don’t think we have any holidays during that time right. Yeah, Badrinath didn’t seem to have anything too expensive except for the dance numbers. Now that you mention it, I don’t think any of the cast are known faces except for Alia and Varun. I hate to get into it again, but the casting of the non-leads would be another interesting way Dharma is giving a break to talented outsiders. They may not get the starring roles, but Karan is thinking outside the box on the father and mother and older brother kind of parts. I didn’t feel like anyone was inexperienced or bad, the whole supporting cast was great, but I don’t remember seeing them ever before (except for the best friend brought in from Humpty). He must have cast from TV or regional or stage, somewhere that people get acting experience outside of Hindi film. I agree with your point but I’ve only seen this many fresh faces in the casting of Humpty Sharma before. I haven’t seen Baar Baar Dekho but movies like Kapoor and Sons and 2 States, the supporting artists are known faces. I feel like this type of casting is the preference of Shashank Khaitan though it’s good that Karan is encouraging it. You’re right about how the entire supporting cast was really good and they didn’t seem inexperienced. I’m sure they cast TV or theater actors. For example Siddharth Shukla, the guy that plays Angad in Humpty Sharma, is the lead on a popular soap opera called Balika Vadhu. Good point about the other films. Although even there, the idea of using Ram Kapoor for a father, for instance, instead of Jackie Shroff or Anil Kapoor or Anupam Kher was a little outside the box. Oh, and in Baar Baar Dekho, one of the main supporting characters was the Sunaina actress from Fan, which was definitely outside the box. She did a great job, I hope she gets more roles like that, not necessarily the heroine (because heroines are boring), but the interesting best friend.